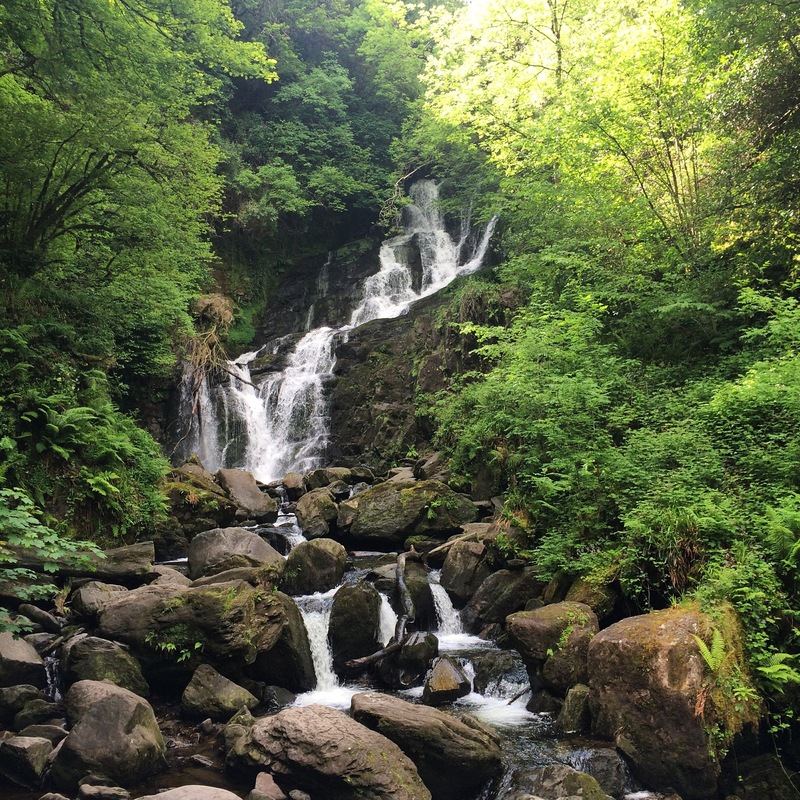 Killarney National Park had so many gorgeous features, like Torc Waterfall. I’ve just finishing the first leg of my journey: Killarney. The place itself, particularly Killarney National Park, has been amazing. I’ve hiked 30km’s on both days that I’ve been here, so that has kept me occupied. The scenery is breathtaking, and I’ve been so lucky with the weather. In regards to doing it all on my own, so far, I’ve actually really enjoyed myself. I’ve definitely liked the freedom that comes with travelling alone. I felt no need to make plans, I just went with the flow. That meant stopping wherever and whenever I wanted, taking detours that I felt like taking, and ending up in the most amazing unexpected places. This is not to say that I would have done all these things had I been travelling with someone else, but I would definitely have been more hesitant. I would feel like I was being annoying if I wanted to take a detour every 10 minutes, and so wouldn’t have suggested doing it so much. I’ve found that travelling on your own really allows you to see a place how you want it to. The only times I’ve really missed a travel companion is in the evening. I was expecting this to be the case, and I wasn’t really keen on the thought of eating alone every night before I started this journey. While I haven’t had the most exciting nights, they haven’t been that bad. Yes, I have missed someone to talk to over dinner and to go on late night adventures with, but I’ve also been perfectly happy with my book and a cup of tea. I’ve learned that I’m quite happy with my own company, and that I don’t always feel lonely just because I am alone. I’ve also realised that when you travel alone, you attract the attention of other solo travellers. I’ve talked to quite a few people who are also travelling alone, and also to those travelling with companions. I realise now that in the past, when travelling with friends, we haven’t come across as very approachable. It’s not that we haven’t wanted to socialise with others, but I think a pair or group of friends is automatically more intimidating to approach. I guess all solo travellers are looking for interaction, so it’s much easier to communicate. I’m currently on my way to Cork, and I’m interested to see how I will find solo travel in a city. I have a feeling that because I spent the last two days hiking, I didn’t really have time to feel lonely. Check back in a few days to see what I thought! The Solo Travel Series: Ireland (Cork + Kilkenny).